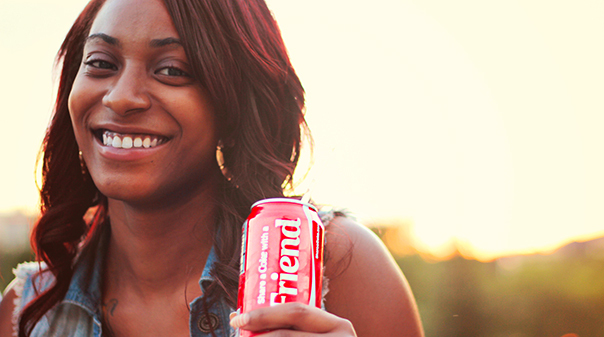 A smiling woman is shown holding a can of Coke. Have you ever heard the saying, “Sip all day, get decay”? At Alexandria Smiles, we want to help you understand what is meant by that phrase and also teach you about other things that can cause tooth decay. The main things to avoid sipping are sports drinks, energy drinks, pop, and some brands of bottled water. Bacteria that cause decay thrive on sugar, meaning they need sugar to live and grow. This is a chart showing acid levels of various beverages. Not only are beverages with high sugar bad for your teeth, but beverages containing acid are also bad for your teeth. Teeth start to break down once the Ph level in the mouth is below 7, which is neutral. Some brands of bottled water are more acidic than others. So, bottled water can also cause decay. As you can see from the chart, Dasani and Aquafina come in at a Ph of 5.5, which is well below the neutral of 7. Anything above 7 is basic and will not harm your teeth. A simple online search can help you determine which bottled waters are better for your teeth. Other things that can harm your teeth are lozenges and chewing gum. It is easy to avoid harm by simply choosing sugar free options. The next time you have a dry throat or a cough, be sure to read the label and choose a sugar free option to avoid turning your dry throat into a cavity. You do not need to avoid any of these things completely, but it is smart to limit them. Limit sugary beverages to meal times only, or make sure to drink it, not sip. Read labels and select sugar free options. Brushing your teeth twice daily and flossing every day will also help you prevent tooth decay. Scheduling a dental appointment every 6 months to get your teeth scaled and a fluoride treatment done is extremely beneficial. The fluoride helps to re-mineralize and strengthen the teeth from the damage done from daily acid and sugar exposure. Call Alexandria Smiles today to avoid decay!